Every human needs food in order to survive. It is a biological need. As long as they are able to provide the money for the food, they should be able to step into any store and buy themselves some dinner. That’s how things normally go. Except, not everyone receives this treatment – or at least, not the ones seeking asylum in Hungary. At this point, Hungary has two transit zones for migrants whose application to enter the country has been denied. However, instead of being welcomed into the country, they are being forced into a state of hunger. As of August 2018, the government of Hungary has ceased its activity of providing food for adult asylum seekers – or at least, those who have been denied asylum. Even when they have appealed to their cases, the authorities refused to provide food – even if this caused an outcry from the European Court of Human Rights. The reason? While Germany wanted migrants, Hungary didn’t. As a result, not only did Hungary stopped providing food for the asylum seekers – but they also denied them the possibility of buying their own food. Even if the asylum seeker had the money necessary to buy even a slice of bread, they needed a court order for it. Hungary claims that no laws are disrespected – and that they do, in fact, provide food to those immigrants whose applications have been accepted. This is an attempt to prevent illegal immigrants from coming in – and staying in the country without bringing any actual profit to the country. You can read this “illegal immigration pros and cons essay” for more deep understanding on this topic. In the meantime, even donated food is refused. Groups coming with donations to the transit doors have been refused entrance more than once – making them turn tail while migrants were facing starvation. According to András Léderer, the advocacy and information officer of the HHC Refugee program, this new policy is just the government’s strategy to discourage migrants from coming into Hungary – and force the people that are already there to abandon their application and move to another safe zone. At this point, Hungary considers Serbia to be a “safe zone” worthy of sheltering the refugees fleeing from the war. Since it is part of the European Union, this should provide the migrants more than enough aid than Hungary could – but the United Nations does not agree with this. Even now, Hungary does not allow many migrants to receive asylum. A small percent is accepted in the country based on certain criteria. The government is currently not revealing any statistics – but on average, only 10% of those who apply will get accepted – but most of them remain in the transit zone, where they are either forced to starve or to move on. This treatment, however, is considered inhumane and absurd – by the migrants, and also by humanitarian activists. The transit process can continue indefinitely – which causes a lot of unrest at the borders of Hungary. The camp will hold these people – but they can only go for so long without food. Even the European Commission has concluded this practice is not at all compatible with the EU laws – and that their anti-immigration status has reached a far extreme. While it indeed true that the adults do not receive food – or access to it – the same thing does not apply to children. If the child is a minor, they will be given food. Similarly, breastfeeding mothers will also get food – but with the condition that they will not share it with other family members. This is considered to be cruel by many humanitarian activists – causing a fair share of uproar in the country and outside of it. Furthermore, considering that the transit zone is circled by barbed wires and high fences, the medium is very hostile and unwelcoming. According to the government, this is a method to make the migrants turn back on their own – without having to be physically pushed back from the country. If a person is deprived of food for more than two days, they will look for food elsewhere. However, if they can’t even buy it or receive it as a donation, they’d have to return to a neighboring country – which is Serbia. How Good of an Idea Is It? In the eyes of the Hungarian government, this is a great idea that will keep the migrants out of their country. 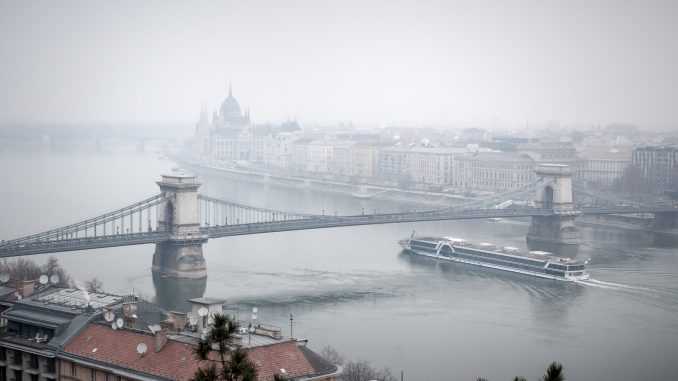 They want their majorities to stay Hungarian – and they do not want their country to suffer the same fate as Germany. On the other hand, however, this may cause severe backlash on the image of Hungary. In the eyes of many countries – as well as its own citizen groups – Hungary has reached a “new low” by providing the basic right to nourishment.